The public and private lives of Frank Sinatra, Dean Martin, Sammy Davis Jr. and Peter Lawford. What should the new Las Vegas Ice Hockey team be called? An extensive biopic of one of the most famous entertainers of the 20th century - Frank Sinatra. The only thing that could engage the public more than his songs and films was his sometimes controversial private life. Orson Welles produces his greatest film, Citizen Kane (1941), despite the opposition of the film's de facto subject, William Randolph Hearst. A medical examiner, who was suspected of murdering his wife, is trying an experimental drug to retrieve his wife's and others' memory and maybe find the killer and the mass murderer in a related present case. 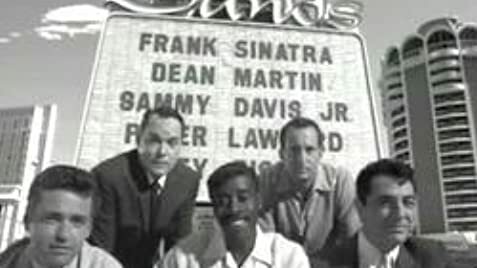 Don Cheadle ... Sammy Davis, Jr.
Peter Lawford: I'm an actor, Frank! All I want to do is act in movies, and cheat on my wife. Is that too much to ask? Joe Mantegna captures something of Dean Martin's character but is not as handsome or charming enough. William L. Petersen, looks and sounds nothing like JFK and portrays him as a shallow, weak character. Then we come to the worst casting in the whole film. 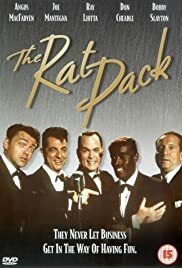 Ray Liotta looks not even close to Sinatra, he is much too tall, and even worse he fails to carry himself like him and his speaking voice is just awful, he sounds like a squeaky teenager most of the time. this would not be so bad if it wasn't for the fact that he is the main character in this film and at times you even forget that he is supposed to be Sinatra. So with a better cast this could have been a superb film but it is not.